If your decor feels a little lackluster, get thee to the thrift store — but not just for new furniture. 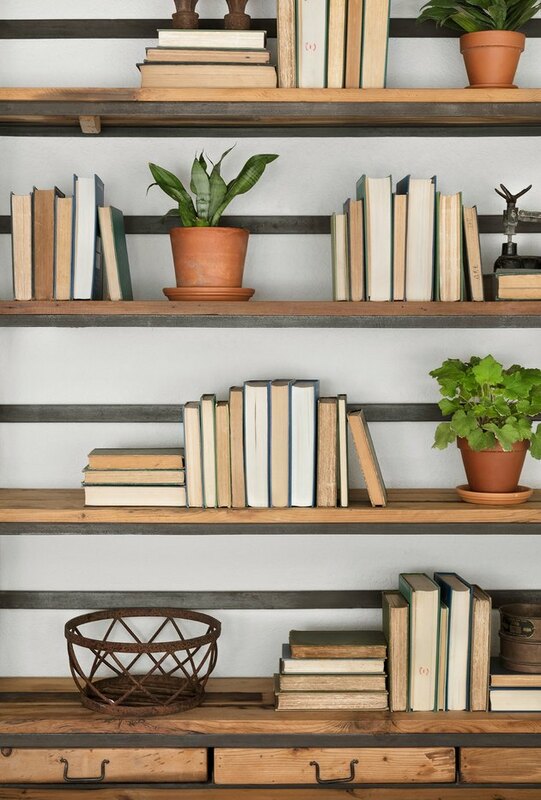 Vintage books are an inexpensive way to add rustic style to your space. 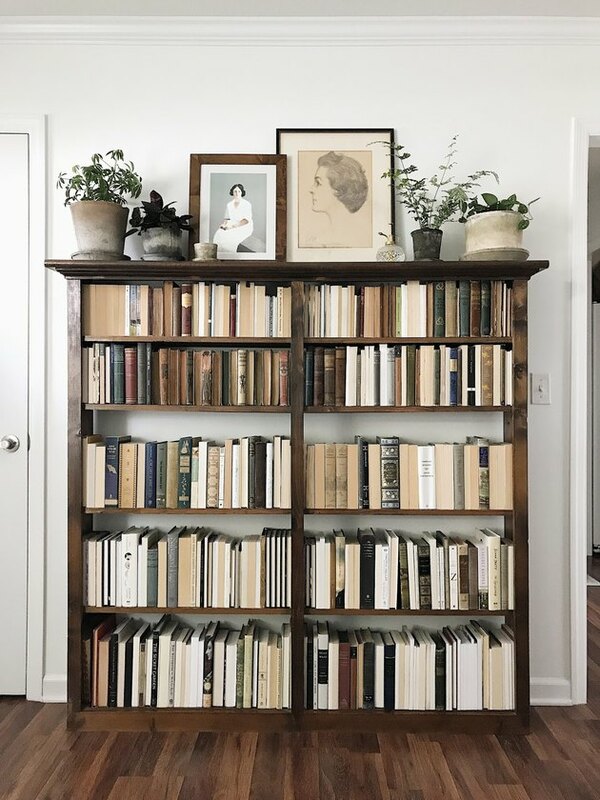 Displaying these faded tomes in a bookcase creates a stunning #shelfie, but even if you have a limited amount of shelving, the options are still limitless. 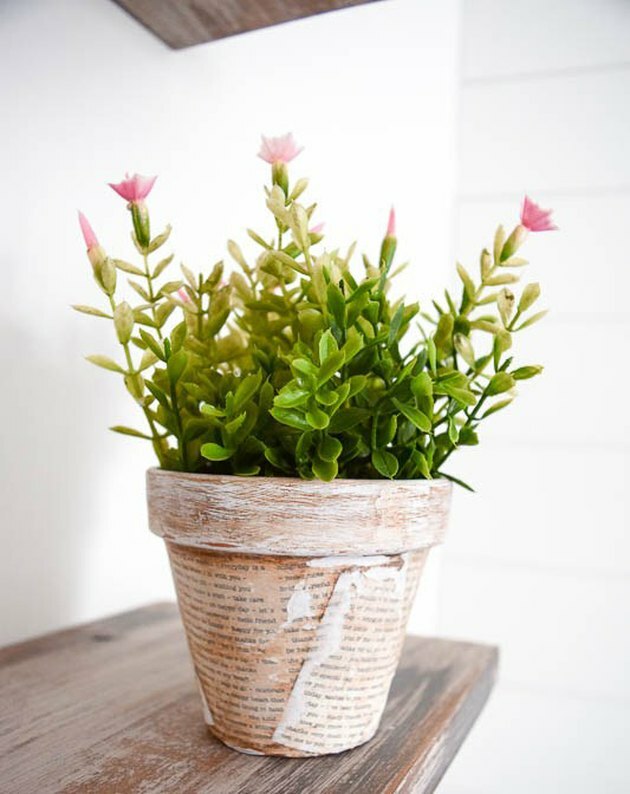 Turn individual pages into works of botanical art or transform a basic terra-cotta planter into a literature-lover's dream with these 10 creative book ideas. 1. Turn book pages into framed botanical prints. There's something gorgeous about the pages of old books: the curled edges, the carefully set type, the yellowing with age. Transform these pages into works of art in a snap by following these simple instructions from blogger Emily Clark. 2. 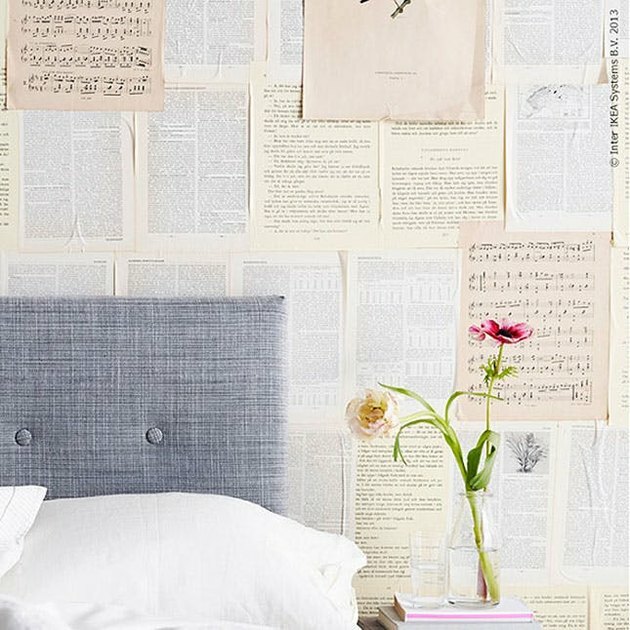 Book pages make great wallpaper. 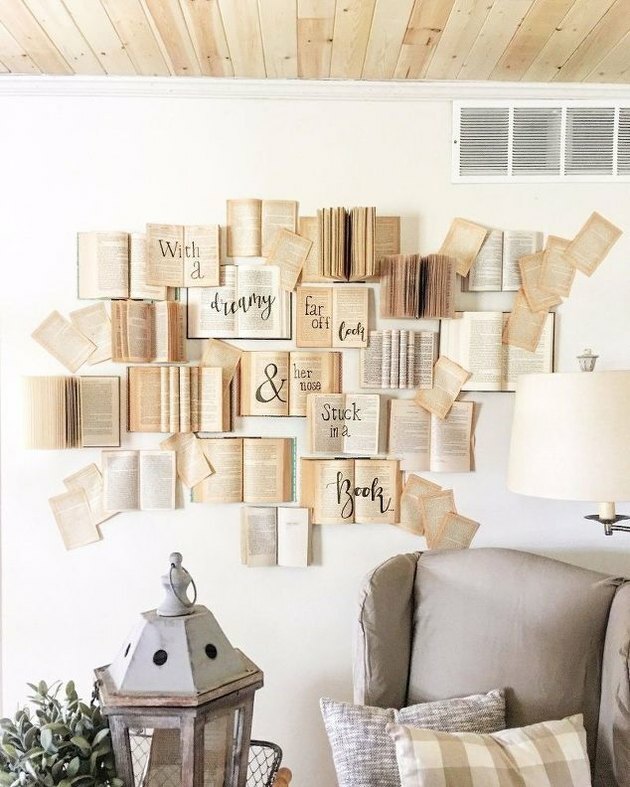 If your decorating style could be neatly summarized as eclectic all the way, there's nothing better than an accent wall made up of an assortment of book pages to drive the point home. Here, book pages fill a dining room wall to create the perfect well-read vignette. 3. Stuff them with plants. You don't need to be planning a wedding to copy this easy DIY project from Green Wedding Shoes. A stack of old books you're never going to read — sorry, James Joyce — creates ideal conditions for new life. 4. ...Or upgrade terra-cotta planters. This old-book upgrade combines your love of literature and pretty, green things — and is far more versatile than just cutting the books open. Revive your terra-cotta planters using these instructions from Making Joy and Pretty Things. 5. 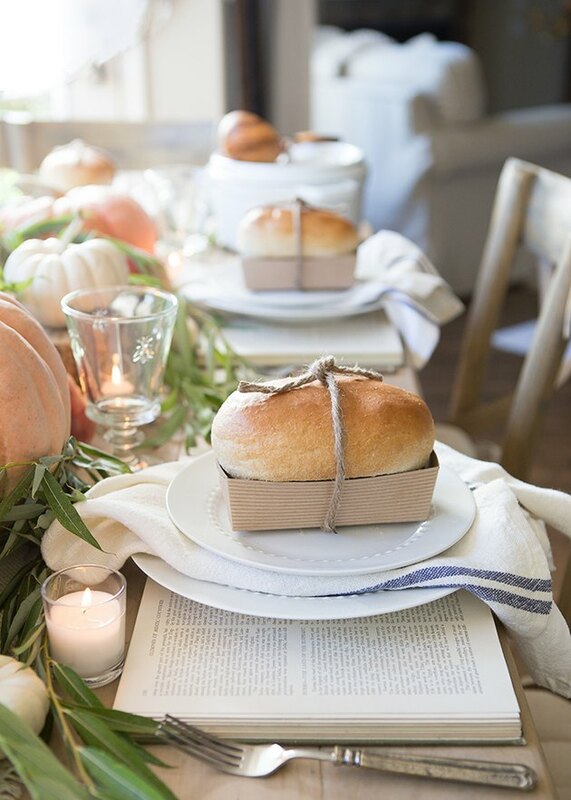 Invite your books to the dinner party. 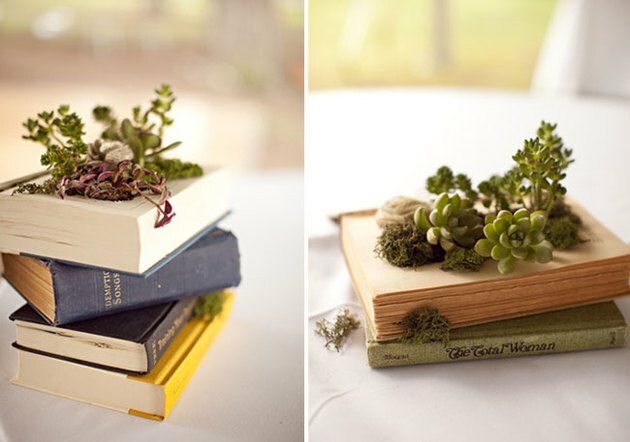 Planning a book-themed soiree? Turn great works of literature into placemats — and this time, you don't have to destroy the books. Open each book to the desired page and add the remainder of the place settings on top of each tome to create a cohesive design scheme for your literary event. 6. Let books go to your head(board). They say reading is like dreaming: endless worlds, limitless possibilities. 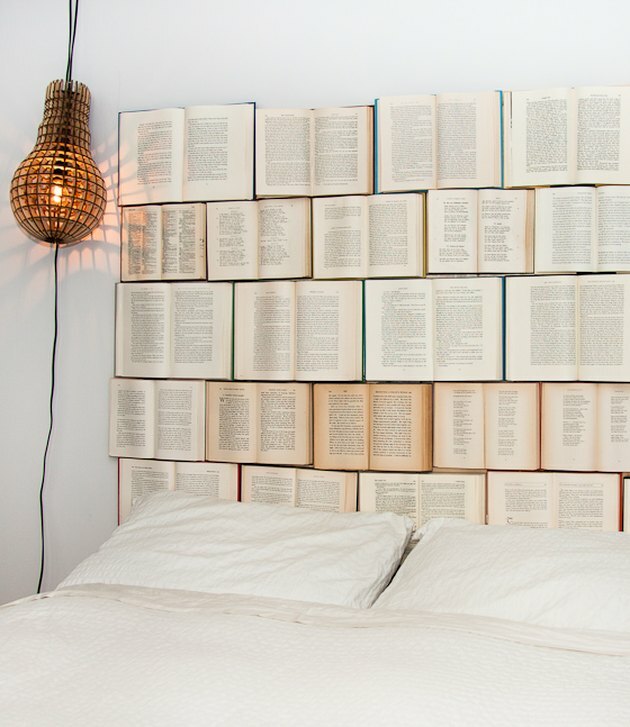 Make the connection clear by turning your fave classics into a headboard — all you need is plywood, nails, and a lot of thrift store books. 7. 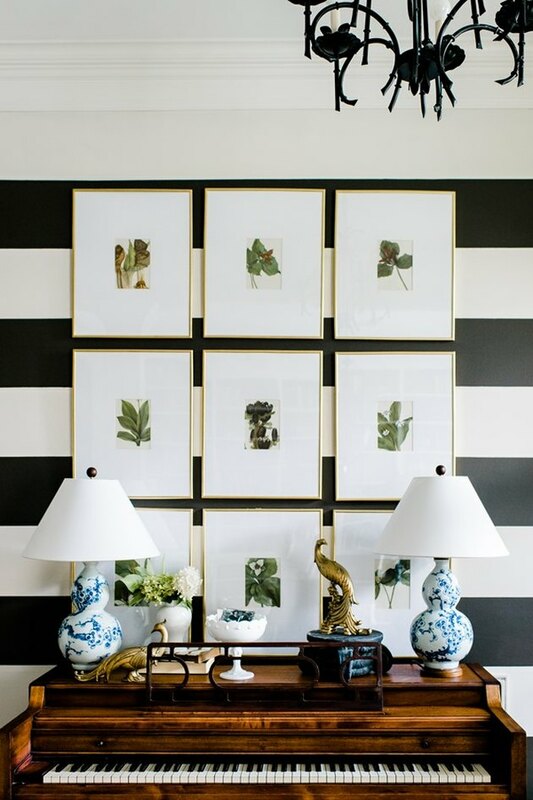 Redefine the gallery wall. Gallery walls can be difficult to pull together — combining various pieces of artwork and frames into one united display is a monumental task. 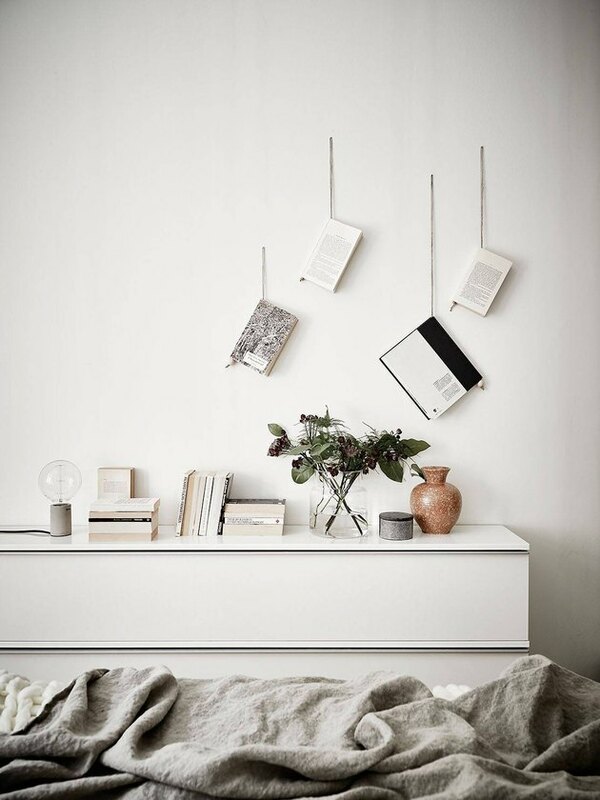 Reduce the level of difficulty by hanging books instead of art, like in this tutorial from HomeTalk. 8. Paint the books to match. Fitting antique books into your home's color palette takes nothing more than a tiny tin of paint. A Fresh Squeezed Life slathered these thrift store finds in shades of blue and white, and stamped the edges to cleverly display her love of literature. 9. Give your bookcase a new look. Generally speaking, the point of a bookcase is to keep enticing books easily accessible. But if you're looking for something more cohesive and a little prettier to look at, take thrift store books and turn them backwards for an antique-chic decor upgrade. Make Jo March from Little Women proud by creating a vintage manuscript — all you have to do is carefully remove the cover of an existing book. 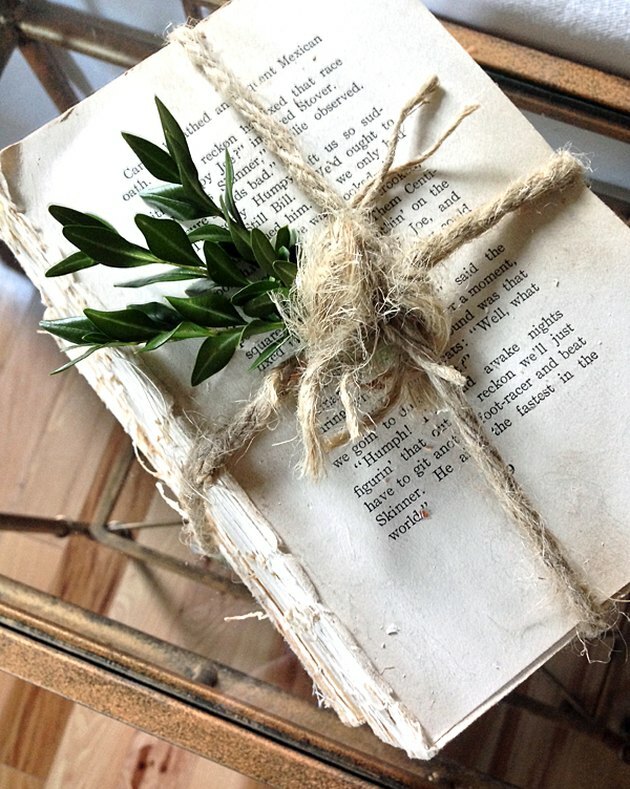 Wrap the pages in twine and twist in a little greenery to match your manuscript to the season. 11. Hang 'em high or hang 'em low. Don't hide your love of classic book covers in a bookcase, show them off. 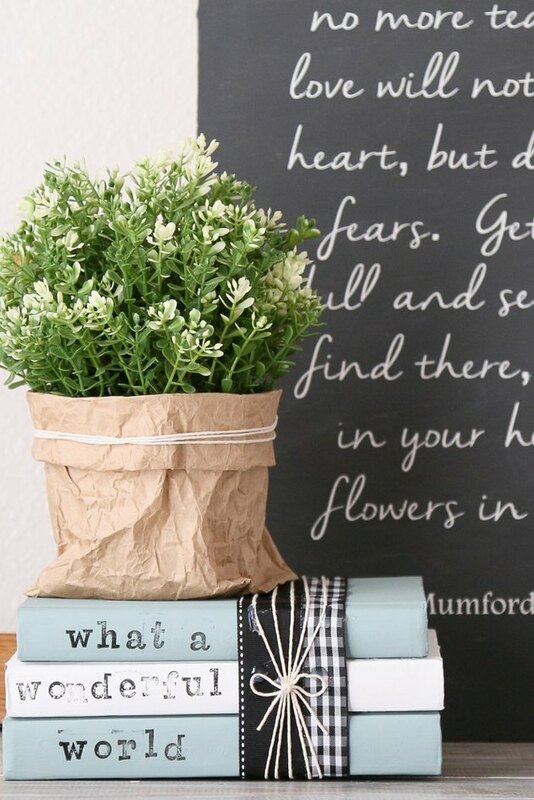 Using string or twine, simply hang your beloved tomes on the wall in any arrangement that suits your fancy. Not only will these masterpieces make a great art feature, but this unique display will also keep your faves right at your fingertips. Don't You Want to Display Your Holiday Cards on This DIY Plywood Holder?